With a dual-density, slip resistant sole, the new Mawgan Trainer provides a dependable grip in all conditions. The Air-cell impact absorbing insoles mean you&apos;ll get around deck quickly and safely. Ideal for on-board athletes and anyone wanting a comfortable, free draining deck trainer. • Heat moulded toe and heel protection. 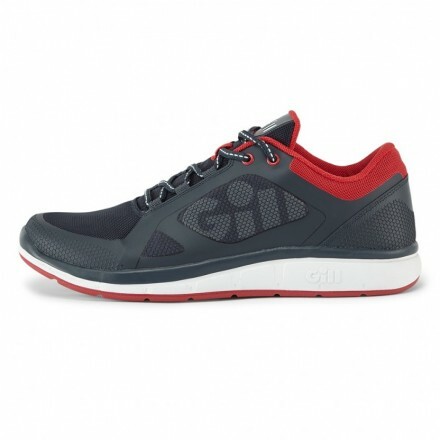 • Air-cell impact absorbing and removable insole. • Low profile tread pattern with water expulsion channels for use in wet weather.